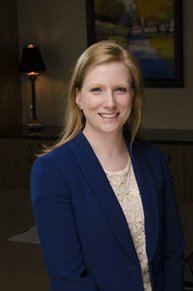 In her new role with the Grand Rapids investment and wealth-management services provider, Umlor is responsible for the administration of all accounting based activity for the corporation and family office clients. She prepares the financial statements and maintains the general ledger for the corporation, and also assists the family office clients by providing bill payment, tax assistance, and foundation administration. Most recently, Umlor served as a General Ledger & Grant Administration Accountant at Habitat for Humanity of Kent County, where she was responsible for month-end closings, accounts analysis, and grant requests. Previously, she worked as an Employee Benefit Consultant at KDP Retirement Plan Services. Umlor earned her MBA and BBA in Professional Accountancy degrees from Davenport University and her Associate degree in Accounting from Grand Rapids Community College.